GEORGE MASANOBU HASEGAWA, beloved husband of Marlann Hasegawa, passed away in his sleep November 27, 2018 after a courageous battle with Parkinson’s. He spent his last days surrounded by family and friends in his hometown of Lethbridge. Born December 26, 1933 in Vancouver BC, George lived a full and happy life as a father to his five children; Mark, Paul, Beth, Julie, and Sue Hasegawa. Family was very important to him. 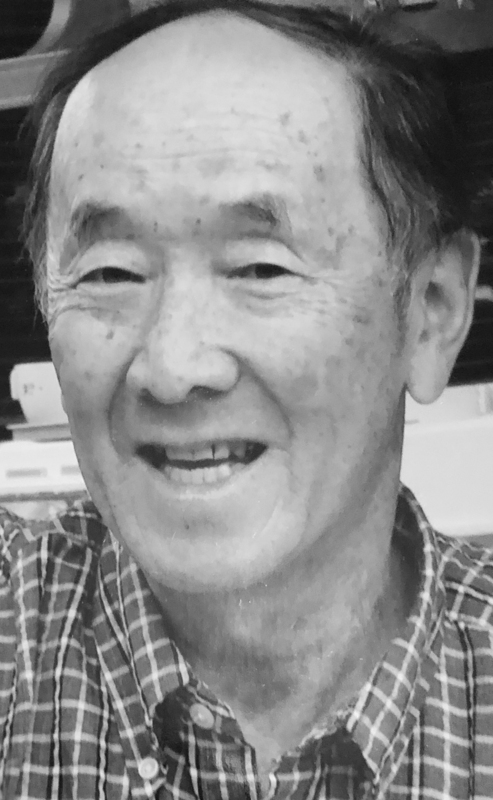 Although Papa George, as his 14 granddaughters and 5 grandsons liked to call him, was a serious and disciplined engineer at Hasegawa Engineering, he could never resist the opportunity to have a good laugh. Even in his local religious community of The Church of Jesus Christ of Latter-day Saints George was known for keeping Sunday light with a well placed joke. George and his wife Marlann have firm testimonies in the truth of the Church of Jesus Christ of Latter-day Saints. They both served missions both in their youth and as a couple in their later years. George freely gave sound advice on everything from waterskiing to journal writing. Many will remember him for his work ethic and diligence. In lieu of flowers, George kindly requested that any and all support be donated to Parkinson’s Association of Alberta, PO Box 333, Lethbridge AB T1J 3Y7. The Funeral Service will be held on Saturday December 8, 2018 at 12:00 p.m. at The Church of Jesus Christ of Latter-day Saints, LETHBRIDGE STAKE CENTRE, 2410 28 Street South, Lethbridge. Friends are welcome to meet with the family at SALMON AND SONS FUNERAL HOME, 433 Stubb Ross Road South, Lethbridge (entrance to the airport) on Friday December 7, 2018 from 7:00 to 8:00 p.m. or prior to the Service on Saturday from 11:00 to 11:45 a.m. at the Church. Our hearts go out to the Hasegawa family at the passing of the leader of their family. George was a truly inspirational leader by work and particularly through his actions. He was always ready to lend a listening ear and provide thoughtful counsel and advise; usually wrapped around a good piece of humour. George was hard working and industrious. He embraced leadership and stepped up as an alderman in Kelowna for two terms. His real legacy is in his teaching career and Church service. He inspired his students and children and uplifted countless Church families with his dedicated interaction. George was a student of the scriptures and provided an inspirational model to those who served with him. Truly though his legacy is and will continue to be his family. George and Marlan were an exceptional couple in their devotion to each other and their children. The sun rose and set on their posterity. As a couple they always worked hard to make the path of the future golden for their children and grandchildren. As a couple we have always felt blessed that George and Marlan Hasegawa and their family came into our lives. God bless George going forward and Marlan and children in the future.